Upon the approval of one’s job application, each individual is required to comply various requirements in order to complete the recruitment process. These requirements are referred to the different employee forms. These forms are with regards to the information of individual employee concerning their personal information, family background, employment history, medical assessment report, so on and so forth. These forms also include the details from various of background checks for individual’s identification verification. These are conducted for security purposes. Furthermore, these forms for new employees are mandatory to be utilized upon the acceptance of the individual’s application forms. This is for the reason that the documents or records play a vital role in the business and personnel management in the company. As for the regular or old employees, their information are easily updated when changes are necessary to be made. This is for the fact that they already have a record of their information as they start working in the company. A basis for this is their individual employment contract which is used to indicate the start and end period for them to report for work. In addition to this, these personal records of each employee help the management to easily identify or determine who each are and what each could offer or contribute to the company. When these documents are organized and managed accordingly, locating for the information of each individual is made easier. You can also like employee review forms. 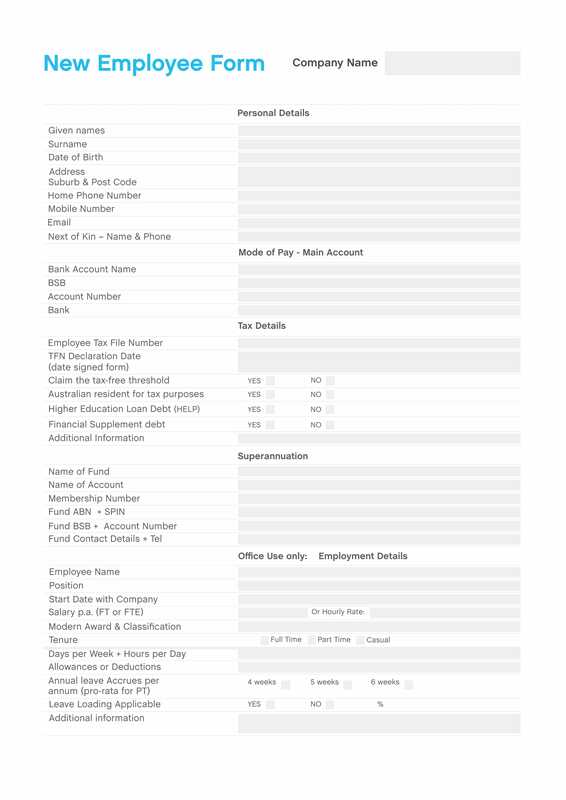 The Employee Personal Information Form – This form is basically with regards to the personal information of individual employee. Technically for verifying the identification and for company records. The Emergency Contact Information Form – The information written in this form are basically used in any cases such as accident reports and any form of emergency concerns in which immediate response/s is/are needed as soon as possible. The Federal Income Tax Withholding Form – This form is essential to be completed before the employees receive their first salary. This technically is in order for the company to be able to send the employee income taxes from individual employee’s gross pay to the government on their behalf. The Employee Eligibility Verification Form – The reason why this is included in the requirements is for the company to ensure that their employees are able to perform the tasks assigned to them, and that they are able to report for work without any mental or physical limits. 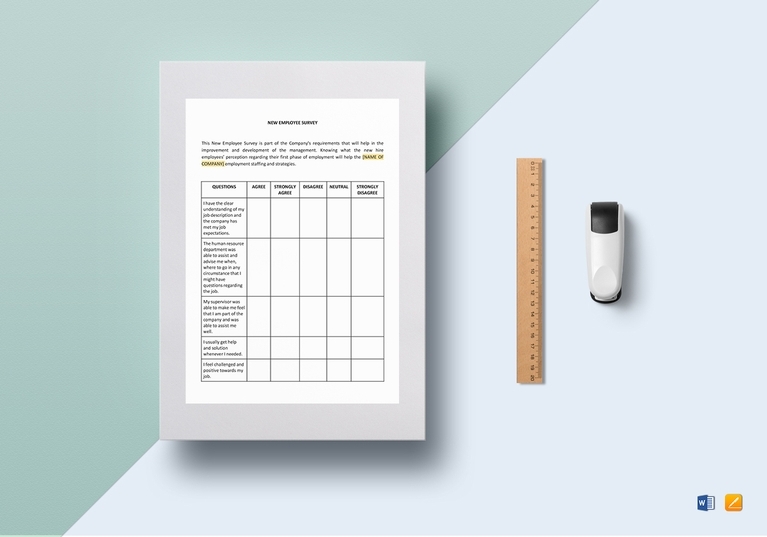 To ensure this, documents that could serve as basis are the health assessment form results. The Preemployment Assessment Form – This often is conducted to test the capacity of the newly hired employees. Most of the tests cover both mental and physical capacity of each individual employee. This assessment form for employment is sometimes based on the performance during the probationary period. The Non-Disclosure Agreement Form – This form is a contract agreement that indicates all the terms and conditions during and after the employment period of an individual employee. This is to make sure that both the management and the employee are in good understanding with regards to the rules and regulations set by the company. 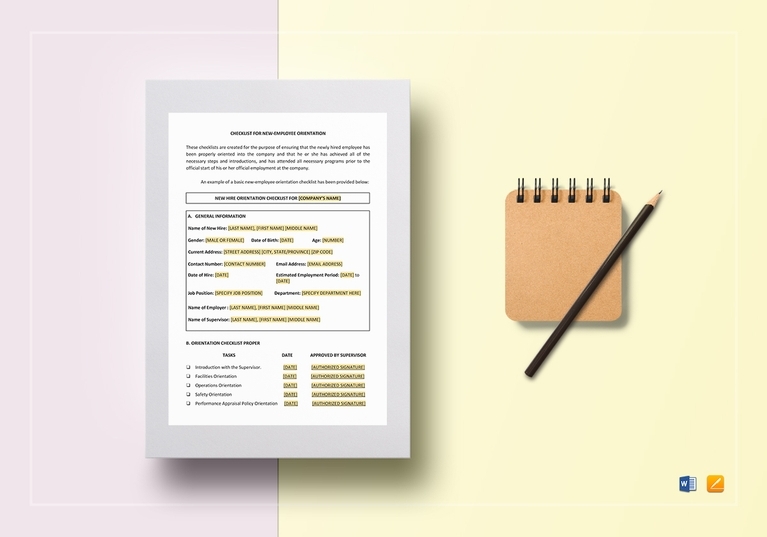 These are just few of the forms that are secured and compiled together with other personal record review or documents of the newly hired employees. These are held only by the authorized personnel, due to the fact that these are considered as confidential files. 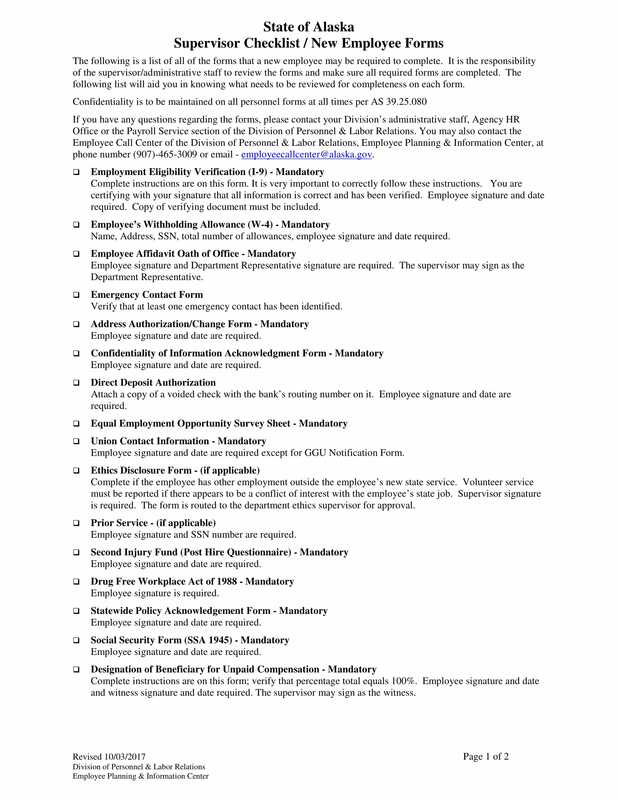 Nevertheless, all these new employee forms are listed in the human resource manager’s checklist. 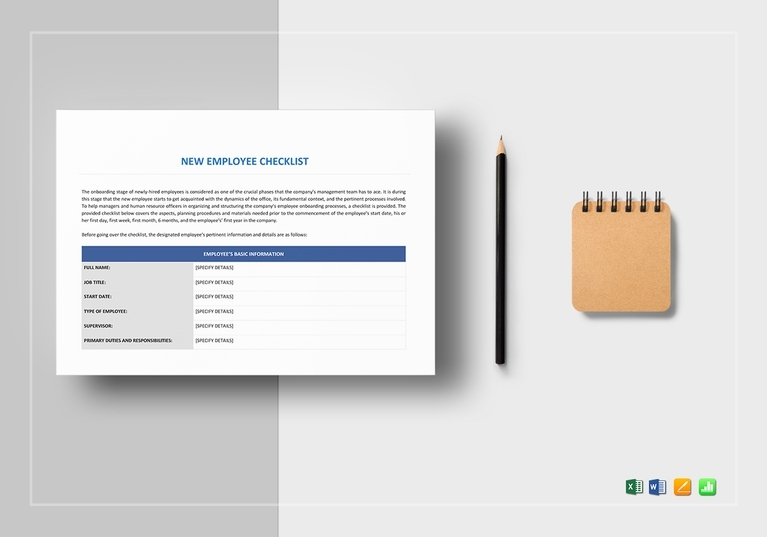 The new hire form checklist is mainly used as the basis of the HR officer in order to ensure that all requirements are secured. You can refer to the forms provided to gain further understanding with regards to managing these new employee forms.